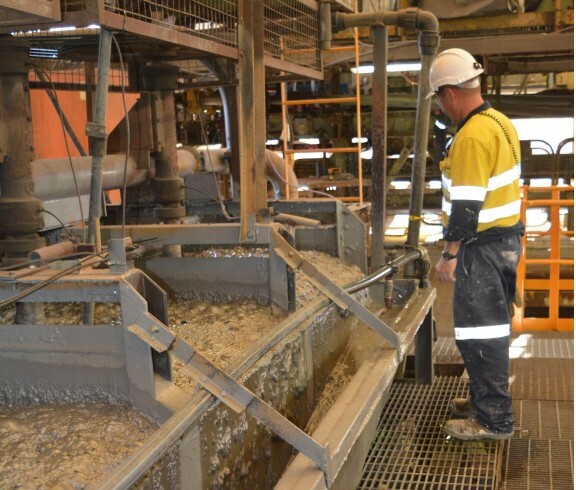 Red River Resources has commenced concentrate production at its Thalanga zinc project south-west of Charters Towers. Red River has offtake agreements in place with Trafigura for the Thalanga zinc and lead concentrates and with Glencore for copper concentrate over the first three years of production. “The start of production at the Thalanga zinc project, ahead of schedule and under budget, is an outstanding achievement and all credit must go to our site team, headed by Thalanga GM Karl Spaleck," Red River managing director Mel Palancian said. Red River bought the Thalanga processing plant and surrounding tenements from failed miner Kagara’s administrators in 2014.
gold and 370,000 ounces of silver in concentrate over an initial mine life of five years. Red River is working to increase its resource base at the project, with plans to mine the Thalanga Far West and Waterloo deposits after the West 45 deposit, whilst defining a resource at the Liontown East discovery and undertaking regional exploration to discover the next generation of deposits in the area.